Jane Harrison, North Carolina Sea Grant coastal economics specialist, applies economic analysis and other social science methods to meet the needs of coastal residents and stakeholders. Her work informs coastal decision makers about the intersections between sustainable use of ocean and coastal resources and economic development. She conducts research and outreach on the blue economy, which emerges when economic activity is in balance with the long-term capacity of ocean and coastal ecosystems. To learn more about North Carolina’s blue economy, email Harrison to subscribe to North Carolina’s Blue Economy Information Series. 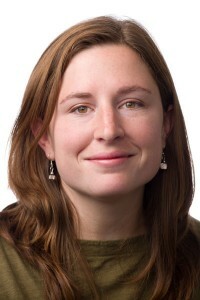 Harrison earned her doctorate in forest social science from Oregon State University. She holds a master of science degree in agricultural, environmental and development economics from The Ohio State University. Previously she worked in the Great Lakes region for Wisconsin Sea Grant as a social science outreach specialist.